While most commercial roofing systems are more durable and longer lasting than residential roofs, this is not a given. In order to get decades of use out of your commercial roof, it is essential that you keep it in great condition throughout their service life. The easiest way to do this is, of course, through routine roof maintenance. 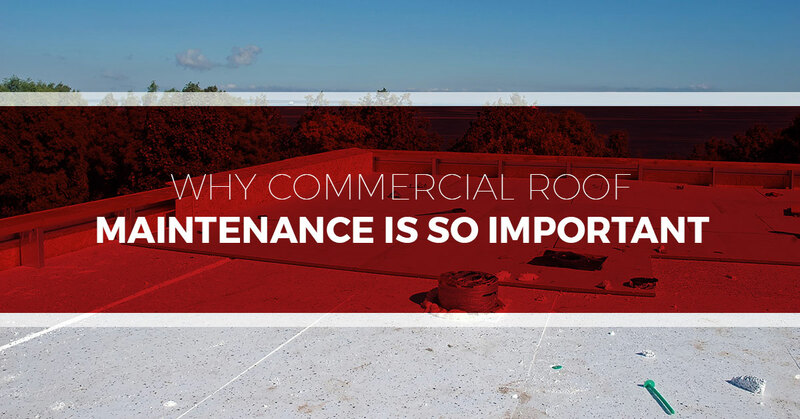 In today’s blog post, we would like to share with you some reasons why preventative maintenance is so critical to the overall longevity of your commercial roof. “An ounce of prevention is worth a pound of cure.” This old saying could certainly be applied to roof maintenance. Preventative roof care not only keeps your roof in good condition and looking nice, but it also allows you to address minor problems that may turn into major problems over time — e.g. leaks that could wreck your roof and damage inventory and equipment. Although commercial roofs typically last longer than residential roofs, maintenance is still required to ensure that this is the case for you. When you conduct regular commercial roof inspections and repairs, you can extend the life of your roof, saving you money and stress. Investing in regular maintenance actually makes your roof easy to maintain in the long run. By addressing problems in the early stages, you reduce the frequency of more extensive repairs — this is especially true for flat roofs where drainage issues can quickly turn into costly concerns. Where Can I Find Professional Roofing Contractors In Nashville? Tim Leeper Roofing is proud to offer commercial roofing services in Nashville. We have extensive experience working with businesses in the Nashville area. Our services include commercial roof installations, repairs, inspections, maintenance, and more. Contact us today for your free, no-hassle quote.